Back in high school, I was quite the nerd. Though I wasn’t the stereotypical Math genius and/or computer programmer type, I loved Biology. It was the one science class where I actually did well. Dissection days were always a treat, and at one point I could tell you all about the Krebs Cycle straight from memory. 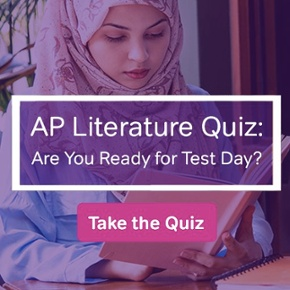 Those days may be long gone, but for the future doctors and scientists out there, the AP Biology Exam is a big stepping stone between you and the M.D./Ph.D. of your dreams. Also, a high AP Biology Exam score looks mighty nice on a college application. That may not seem like a lot to know for the exam, but each of these bullet points represents a unit (or more) worth of information in your AP Biology class. In this section, I will break down the length of the AP Biology Exam, and offer suggestions on how to make sure you successfully finish each section of the test. 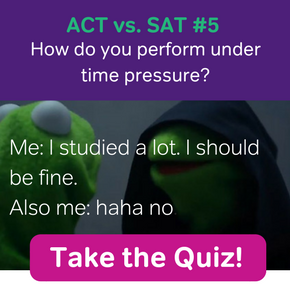 First, a piece of recycled advice from my ACT articles: take multiple timed practice tests to become used to the Exam’s format, content, and pacing. For students will a College Board account, a full-length test is available for you to take. Also, please remember that the test recently underwent a revision in the fall of 2015. Any full-length practice tests dated before fall 2015 are no longer valid test prep tools. First, take a look at my article on ACT Time Management. The same basic rules apply to the AP Biology Exam’s multiple choice section. You have roughly 1 minute and 20 seconds for each question. Don’t forget, though, answering these questions will take time, and the grid-in questions will have you performing some Math, too. The clock can easily creep up on you in these situations, thus the value of becoming comfortable with the Exam through practice tests. Break is an important time during any AP Exam, and even if you’re a seasoned AP veteran, don’t waste it. Visit the restroom and drink a little water. But most importantly, eat something! Section II of the Biology exam will have you reading and writing, which takes a lot of brain power. The Free Response section is split up into two parts: Long Free Response (2 questions), and Short Free Response (6 questions). Both parts are worth 25% of your exam score. Here is your time breakdown for these questions. During this time, you can review the questions in Section II and begin planning your responses. You cannot start writing your answers during this time. For each of the two questions, expect to allocate 20 minutes to each question. For each of the six questions, expect to allocate 5 minutes to each question. Now, can you give a little more/less time to the questions as long as you finish them all? Sure. My point is that the goal of your practice tests should be comfortably finishing a Long Free Response question in 20 minutes and a Short Free Response question in 5 minutes. On test day, how you get the time to work out is completely up to you. Now that we’ve talked about time management, let’s talk about what to expect on the test. Even though the test’s structure may be relatively new, multiple choice questions from previous years’ AP Biology Exams are still a valid way to introduce students to this section’s difficulty level. If your teacher knows what he or she is doing, you will see old exam questions on just about every one of your unit tests. The multiple choice/grid-in questions will test your biology knowledge in a variety of different ways. Some questions will be straightforward, but very few, if any, will ask you any direct ‘memorization’ type questions. In fact, paring down this type of question was one of the main reasons for the AP Biology Exam’s recent update. Instead of memorization questions, most questions on the multiple choice section will ask you to analyze a small set of information (passage, graph, chart, other graphic) and come to one or more conclusions about the data. Some questions are stand-alone, while sometimes the Exam will group 2-3 questions around one data set. The five grid-in questions will come at the end of the multiple choice section. As you might expect, these questions are much more hands on, and require more steps to answer than the multiple choice questions that you have just completed. If you’ve had time management issues in the past, it might be worthwhile to try practicing the multiple choice section from end to beginning. Doing these more challenging problems first could save you time later. Like many of the questions on the Multiple Choice section, to answer the Free Response questions, you will need to read and analyze data. That’s why you have your 10-minute reading period. Use it well; mark up your test and make comments in the margins. Organizing your thoughts during this important time will save you later as the minutes begin to tick away. Unlike the AP English Literature Exam, the writing section on the AP Biology Exam doesn’t ask you to produce different types of writing. For example, think back to your English classes. The difference between ‘short answer’ and ‘essay’ is more than just the number of words. Essays have introductions, conclusions, and transition sentences. Fortunately, you do not need to worry about these type of writing conventions on the AP Biology Free Response Section. As you discover on the Long Free Response, your ‘long’ answer is merely a series of shorter answers about the same data set. As each task is compartmentalized, you are less likely to leave out or miss important information in your replies. Answer the question in your first sentence. Back your answer up with sufficient evidence. Connect your evidence with your answer through personal analysis. In summary, every Short Free Response question and every part of a Long Free Response question requires a paragraph to answer fully. The College Board will release AP Biology scores in early July. Biology (and all science) is hard. Really hard. Yep, in the past many smart and talented students with a 4 just couldn’t cut it in a second year Biology class. For you 4s (or less) out there, don’t let it discourage you. Even if you think you’re ‘retaking’ the course your freshman year of college, you’ll soon discover that true college-level Biology is a different beast altogether from what you saw in high school. Some DNA just doin’ its thing.